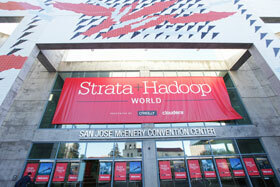 Strata + Hadoop World was created in 2012, when O'Reilly and Cloudera brought together their two successful big data conferences. 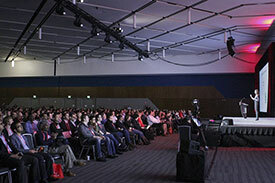 During the March 2017 conference in San Jose, the two companies announced a name change for future events to Strata Data Conference. 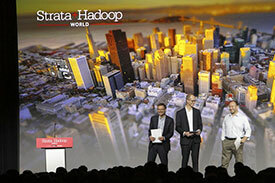 Program Chairs Doug Cutting (Chief Architect at Cloudera, and founder of Apache Hadoop), Roger Magoulas (Director of Research at O'Reilly), and entrepreneur Alistair Croll, together with Program Development Director Ben Lorica (Chief Data Scientist, O'Reilly) have created a program that covers the entire range of big data tools and technologies. The conference covers current hot topics such as AI and machine learning, and focuses on how to implement data strategies. "An excellent conference on data science and engineering—with equal focus on technical and business applications, and fantastic networking opportunities." "If you're serious about the business value of data, never miss a Strata Hadoop conference—the mecca of all things data." "The one event I look forward to each year—with the absolute best mix of hands-on experience, industry case studies, and opportunities to test drive the latest products & services with creators, experts, and business users." "LOVED this conference! So inspiring, thought-provoking, revitalizing—makes me ready to jump back in! 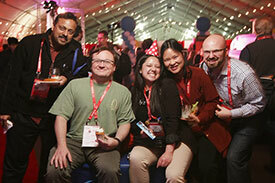 Great to connect and immerse with the tech community; really proud to be a part of it." 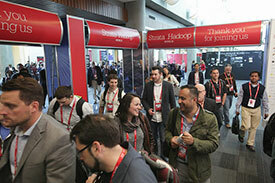 "The speakers, content, and organization were exceptional. This is probably the pinnacle of big data conferences to attend for networking and the latest on ground-breaking technologies. I will definitely attend next year."